Safari grew up in the south of Madrid, the heart of the Spanish people and oddly enough started his DJing career with his father’s records recording tapes for local house parties, it wasn’t too long before the early sounds of techno caught his ears. 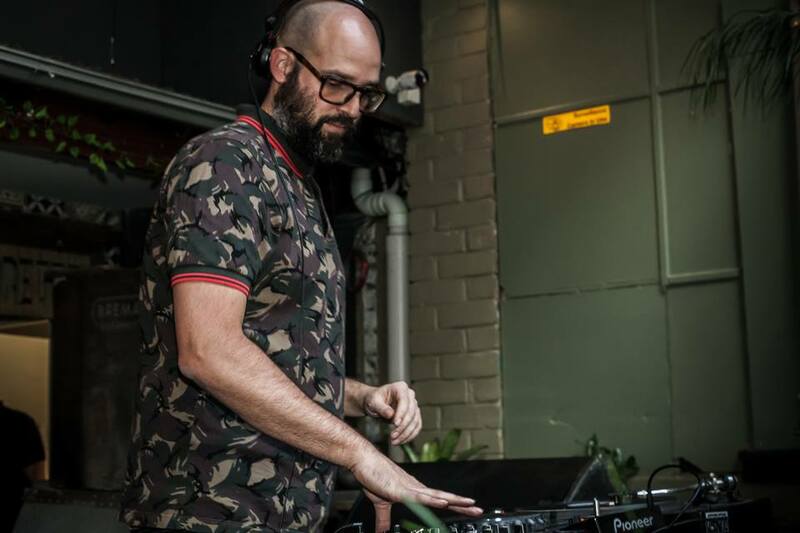 After a few years between Australia and Spain, Safari finally made his way to Australia and within no time he was warming-up or closing down sets for the likes of Radio Slave, Stacey Pullen, Jamie Jones, Carl Craig, Stephan Bodzin and Robert Babicz (aka Rob Acid). With the passing of Honkytonks, Safari took some time to regroup and now you can catch him regularly at Revolver Fridays, Capacity, Inbtwn at Section 8 and numerous events around town. Recently, Safari is spending more time in the studio, soon you will here the Safari sound as he launched his label Patatas Bravas last December. Madrid – what can I say about Madrid? It’s one of those cities that has a rhythm of its own, and once you are in it, it’s very difficult to leave. There is always something on, sort of hidden or out of the tourist way, with lots of different areas to go out. But there are also plenty of flee markets, art, bars and cinemas. I think what I like the most from Madrid is that most people feel equal as people no matter what they do. That is why we are out and about a lot of the time, because we have a lot of groups of friends from different walks of life to hang out with and spend time with. We have a very talented bunch of electronic wizards floating about in Melbourne. How do you think as DJs and event promoters we can help our local producers get the accolade they deserve? This is a question that requires a long answer, but I think, the main thing to do, is to showcase them! That’s my train of thought when booking the locals for Piknic Electronik. Some of the most successful gigs in this town are played by locals, so there is a market that follows us, it is just a matter of providing or having the right environment to show it. It’s also about having the balls to put our money where our mouth is, and do our own nights; that is why we are starting this new night called #bueno. It’s also important to have the relationships with the clubs in a way that they see value on the local acts, and that we understand the economy of it all. That is why I love playing at Revolver or the Railway Hotel Brunswick, and looking forward to what My Aeon is going to do next. But the most important thing is supporting each other, showing your face at gigs and listening to what each one of us is doing and giving feedback, so that we can evolve. I like going to a variety of gigs, from The Operatives to classical or bush doofs, going to clubs such as Animals Dancing, The House De Frost, Power Station or one of my favourites Dance Technique. I love when people show up to ours let it be Piknic Electronik, Capacity, the old times at Pineapple or anything that we present or co-present as Stable Music, it means a lot. What’s the worst gig you’ve ever played? I feel that musically, there has only been a couple of times where I have not been happy with my performance, but it didn’t stop the place from going off. Sometimes it’s strange – there is a connection, but you feel that you could have done better. Venue wise or people wise, there has been a couple of gigs in the past 20 years or so where you walk in the room and you know it’s going to be a nightmare – due to the crowd, the equipment or even the promoter. But I feel I have not suffered some of the worst that I know, and I don’t want to name and shame either. Have a listen to our final episode of KONTRAT Mini-Mix Series #3. It’s been a great journey through these local DJ legends track archives and styles of music. In this exclusive mix from Safari you’ll travel through an eclectic range of music styles and techno flavours; from electronica, trap and acid to techno and house. Pop those headphones on, sit back and enjoy! KONTRAST is a collective of creative spirits who loves to combine raw sounds, dark, thumping beats and intense, edgy musical experiences with extraordinary visual elements in an experimental and innovative way. We want to build something new, colourful and unforgettable and to explore how sounds, shapes and visual imprints together can create something bigger than ourselves, and a different state of mind. 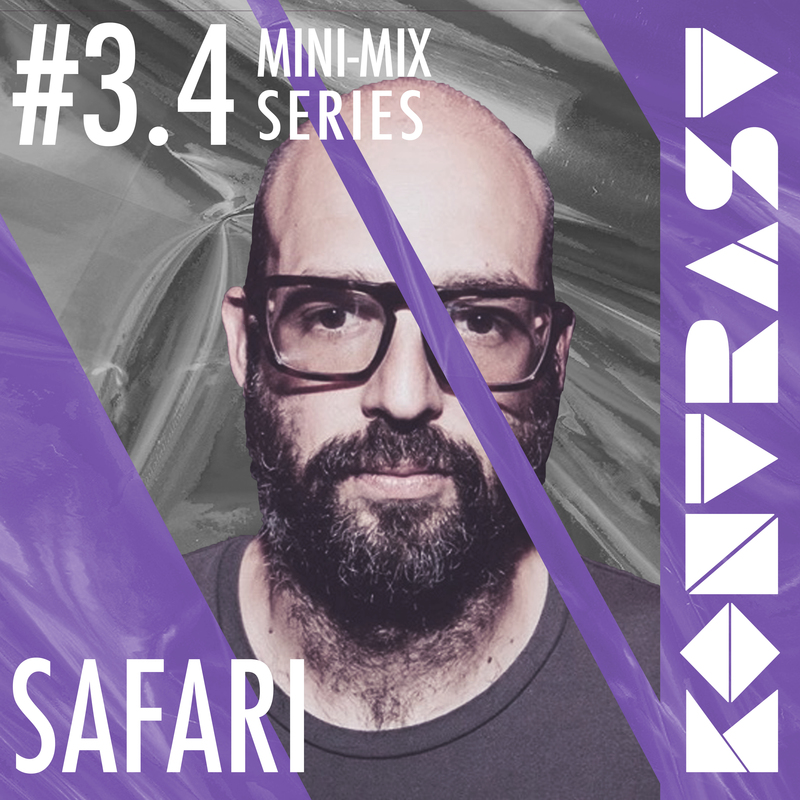 The third series of the KONTRAST mini-mix series will run from March 16 to April 6th, and there will be an exclusive podcast from each artist with a short interview to get to know them better. To learn more about KONTRAST Collective check out their Facebook Page. Listen to their previous mini-mix series on their Soundcloud.